Katherine is originally from Ireland, but has been living in Australia for fifteen years. Married to Andrew they have two daughters Ciara (Year 7) and Mollie (Year 3). A flat coat retriever named Lexie completes the family. In their spare time early morning trips to the beach are a regular feature along with following Irish rugby, footy and cricket. Katherine has been teaching for over 20 years. She has taught mainly in Western Australia but also, Ireland, France and Spain. Katherine has taught all grades from Kindy- Year 12 as a classroom teacher and Phys. Ed. specialist. Katherine was Acting Assistant Principal at St. Benedict’s School in Applecross for 18 months. Currently she teaches Year 5 at St Benedict’s where she is also the Students with Disabilities Co-ordinator. 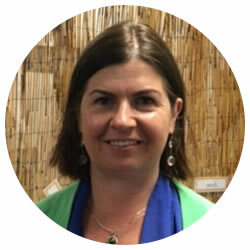 As a lifelong learner Katherine has completed two Masters degrees in Religious Education and Leadership & Management. She is also the recipient of the Catherine McCauley Leadership award. Katherine is very excited at joining the St John’s School community and getting to know colleagues, students and families in 2019. Hello St John’s School Community! 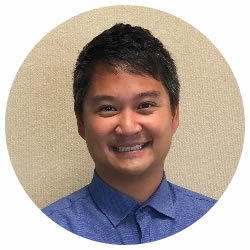 My name is Vladimir Alonzo and I am delighted to be given the opportunity to join St John’s as the Year 4 teacher and Assistant Principal in 2019. I was born in the Philippines and grew up in Canada where I finished my teaching degree. From there I taught two years in Taiwan and have been teaching in Catholic Education WA for the last five years. I am also currently working towards completing a Masters in Religious Education. I enjoy playing plenty of sport and have grown to truly appreciate Perth’s outdoor friendly weather. Teaching has always been a passion of mine. I am a firm believer in ‘whole child’ education and I think there is no greater privilege than guiding students towards their vocation, the path which God calls them to tread. I am eager to bring my enthusiasm and energy to St John’s in 2019 and can’t wait to be a part of such a vibrant school community. Darran lives in the Northern suburbs, is married and he and his wife have a little girl. 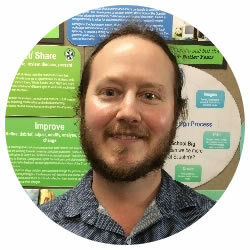 Darran completed his degree, a Bachelor of Education K-7, in 2007 after starting his working life as a carpenter/joiner for the Health Dept in Kalgoorlie . He initially taught for close to a year in England enjoying the experiences of teaching a Pre Primary class and an upper primary one. Currently concluding the year as a Yr 6 teacher at St Brigid’s, after teaching at St Luke’s, Woodvale, for ten years, he is looking forward to joining our thriving school community. He brings a commitment to educational excellence and an enthusiasm, passion and sincere dedication to the growth of each individual child within his care. Ciaran will take over Amanda Washer’s PE position for 2019. The PE days will be timetabled for Thursdays and Fridays. Ciaran is also employed as a Sports Teacher at St Paul’s for two days. 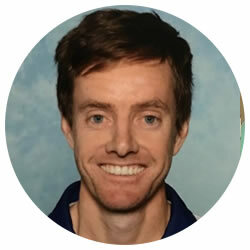 Ciaran has a Bachelor of Education with a specialisation in PE. He is an active member of the Single Stream Catholic Schools Network Association.